The south-facing facade of OceanAire in Downtown Long Beach. Photo by Brian Addison. 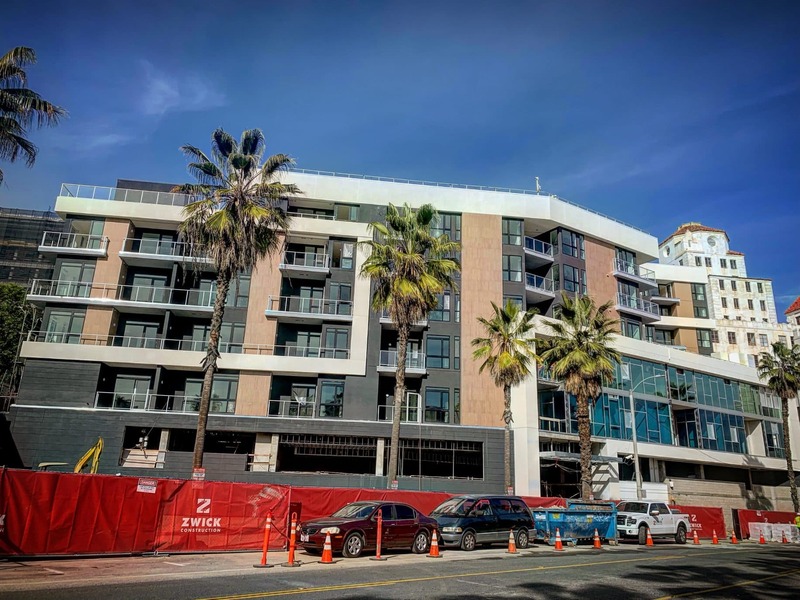 The seven-story 216-unit OceanAire development, being headed by Lennar, is taking shape as construction continues to replace what was once a dilapidated surface lot with housing near the southwest corner of Ocean Boulevard and Pine Avenue. 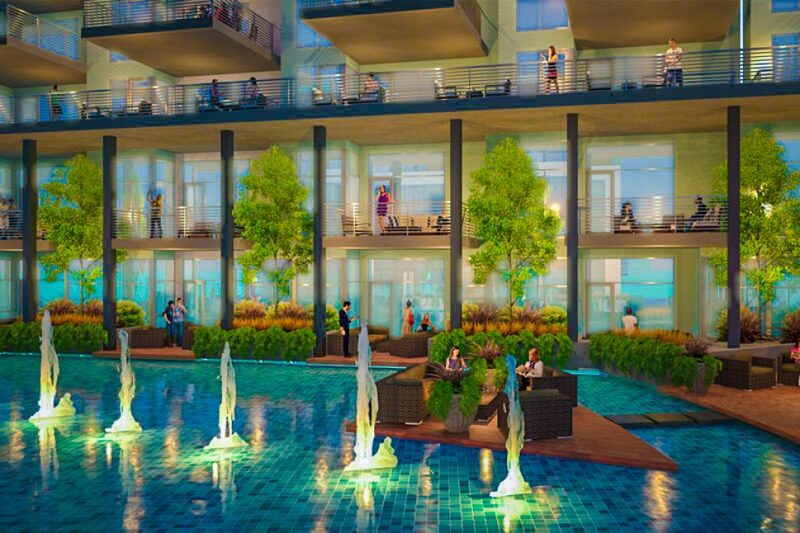 Two things mark the project’s distinctness; the first one being something it shares with all current housing developments, and the latter of which is unique to its design. First, and most importantly: As the city works toward creating an inclusionary policy this year, OceanAire (and every other development entitled before we enact the policy) is a direct example of money we’ve lost for creating affordable housing. Inclusionary policies require developers to either include affordable units in their developments or, should they choose to keep their development entirely market-rate, pay a fee that goes into an affordable housing fund. Other cities enacted them several years ago; Santa Ana, for example, enacted its inclusionary ordinance nearly a decade ago and has collected millions of dollars to go directly toward affordable housing. Renderings and blueprints surrounding the design of the project—led by architects Togawa Martin Smith, the style harkens to a mimicry of Studio One Eleven’s ubiquitous design throughout the city—reveal that the most fascinating parts are its smallest. What is perhaps most intriguing is the development’s concern about and attention toward Victory Park, including a fitness park with a slide on which the public can happily propel down the bluff of Ocean’s southern edge. The disjointed “park” jumps along Ocean Boulevard in patches from Chestnut to Alamitos that resemble corporate landscaping far more than they resemble a park. Thanks to an 80-foot expansion from Ocean southward, at least one part of Victory will resemble a park complete with a stage/trellis, public art gallery and field for hanging out. 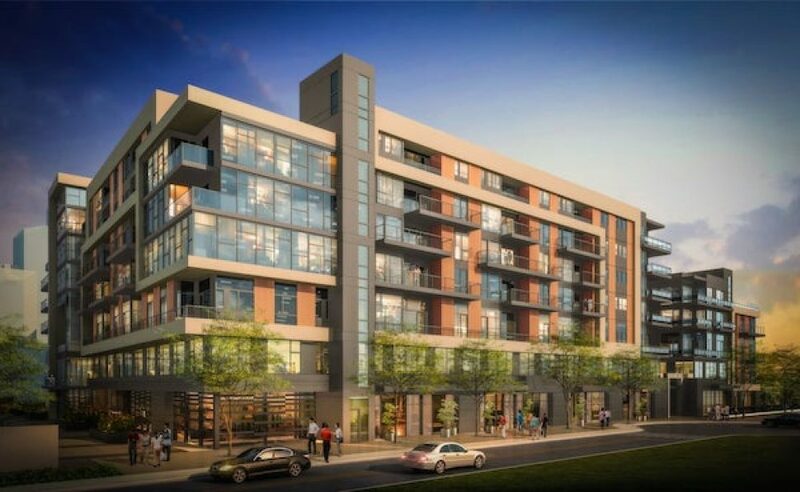 Additionally, an easement on the east edge of OceanAire and the west edge of Ocean Center connect pedestrians to Seaside Way and the Pike and vice versa (including at night thanks to the lighting), along with a bike kitchen on the ground floor which will be available for residents. Supplies stocked by local bike shops will provide bicyclists with easy access to need-now tools and quick fixes. Construction is expected to be completed in the coming months.